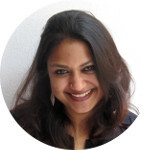 Maya Indira Ganesh has a background in feminist activism and research, and in media and technology studies. She holds a Masters degrees in Applied Psychology from Delhi University, and in Media and Cultural Studies from the University of Sussex. She is currently enrolled as a doctoral candidate at Leuphana University, Lüneburg investigating the construction of ethics in quantified societies, focusing on the case of driverless cars. Maya is also the Director of Applied Research at Tactical Technology Collective in Berlin.